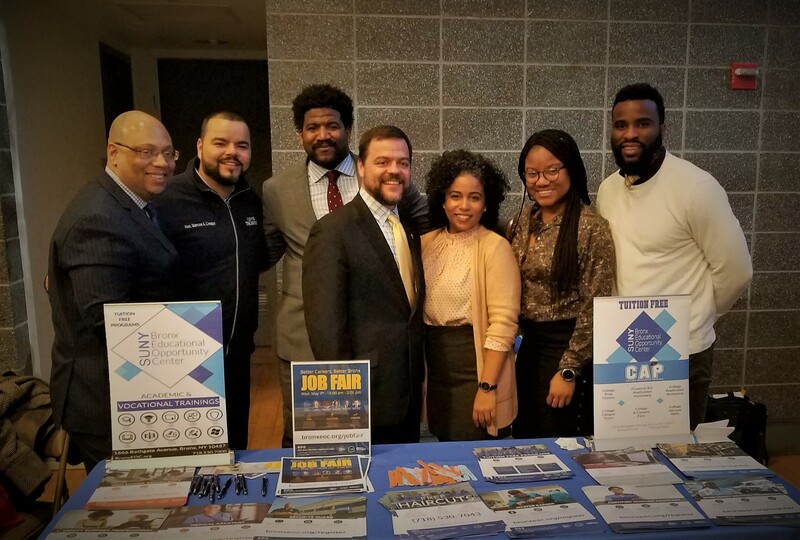 The Employment Services Department provides students assistance with interview and resume preparation, job search and job placement during and after successful completion of SUNY Bronx EOC programs. The employment services environment offers computers, phone/fax machine and a copy machine to support students and graduates in job seeking activities. The center has a team of Job Developers/Career Advisors who provide group instruction as well as one to one advisement and placement services. The Job Developers/Career Advisors also invite employers to the SUNY Bronx EOC facility for interviews, orientations and career fairs. All our graduates receive lifetime employment placement assistance. For SUNY Bronx EOC graduates, Medical Assistant internships provide the bridge between occupational training and job placement, by coordinating experiential components of SUNY Bronx EOC occupational training programs, and arranging for meaningful supervised work (Internship) experiences that provide the practical skills and experience needed to obtain relevant employment. All Internships are full-time, Mondays through Fridays, 9:00 a.m. to 5:00 p.m., for a period of four to six weeks. Please make use of these online employment resouces. We have selected some of the major job search and goverment websites for your convienience.